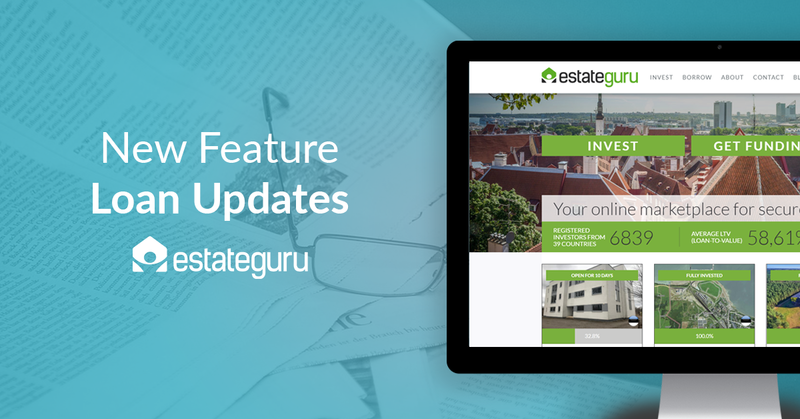 EstateGuru is happy to announce the launch of the new “Recent updates” section which will be used to publish information regarding loans and respective payments! The update section can currently be found under each investment opportunity and will be available only when an update has been published. In the future, all relevant updates will be presented through a notification. 16.05.2017: Currently, updates have been published regarding Tolli 7 bridge loan, Kiviloo Manor bridge loan and Toome avenue development loan. How to find funding for a real estate project? How to secure your future with property-backed investments?